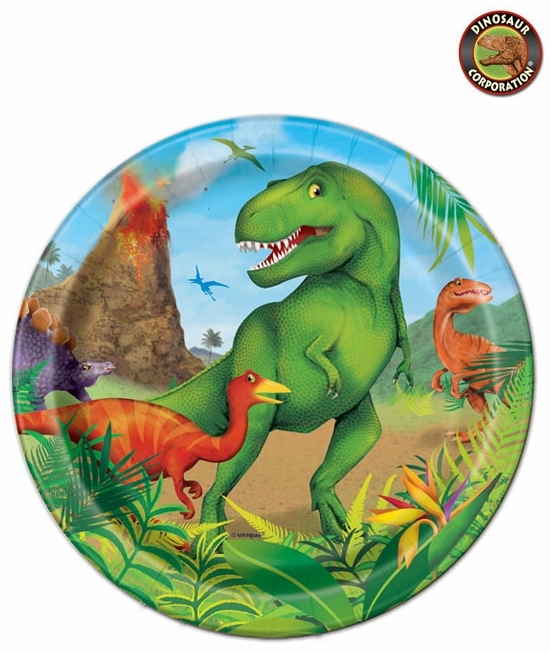 Welcome in the Jurassic Jungle with Prehistoric Dino Beverage Plates showing famous young T-rex with Oviraptor, Tarbosaurus with Pteranodons and Stegosaurus in the back. Let's celebrate! It is a Birthday Party Time for Buddy Paleontologists!